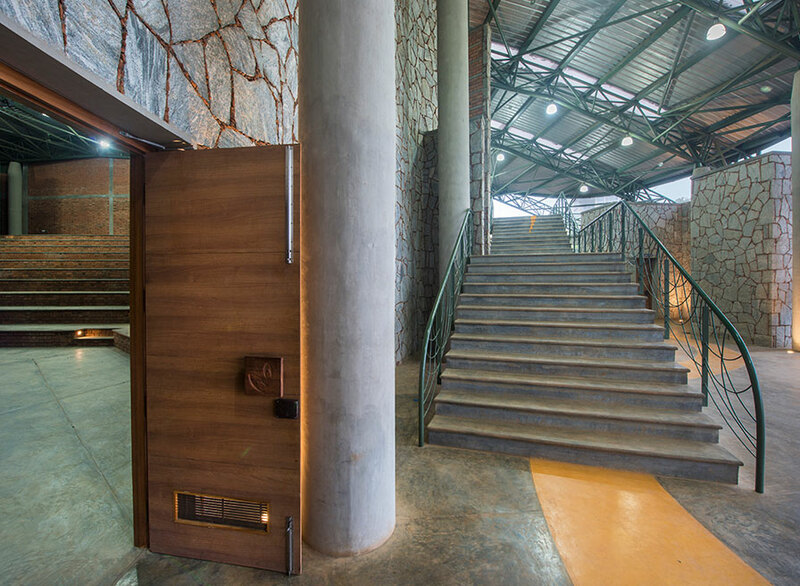 Agastya International Foundation, a non-profit educational trust set amongst the hills of Guddivanka district in Andhra Pradesh, commissioned Mistry Architects from Bangalore to design an auditorium for their educational institution. 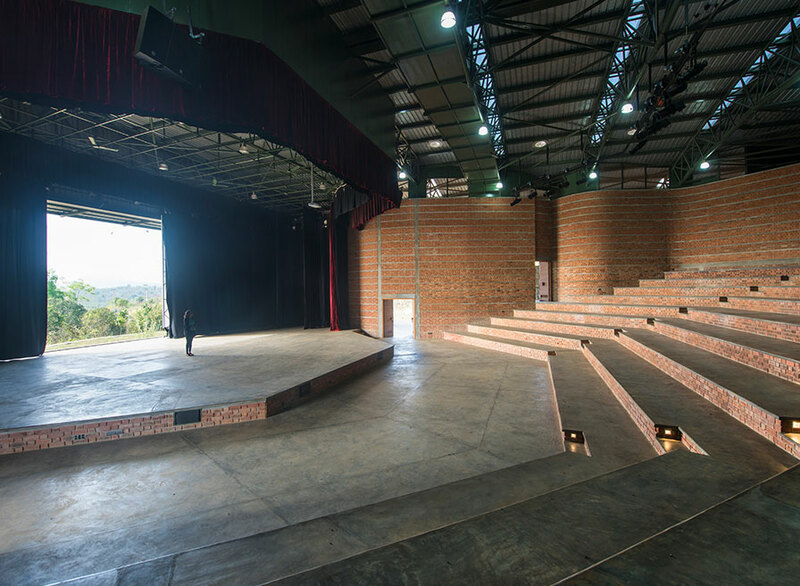 The essence of the project was to construct a structure according to the contours of the land and make sure the views of the surrounding hillside were visible from the auditorium. 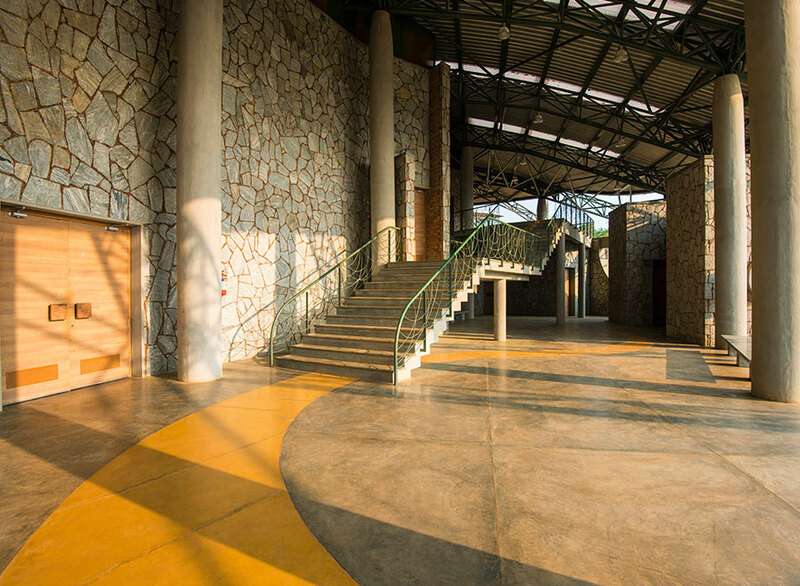 As the site was in a rural setting, construction methodologies were customized to suit the available labor. 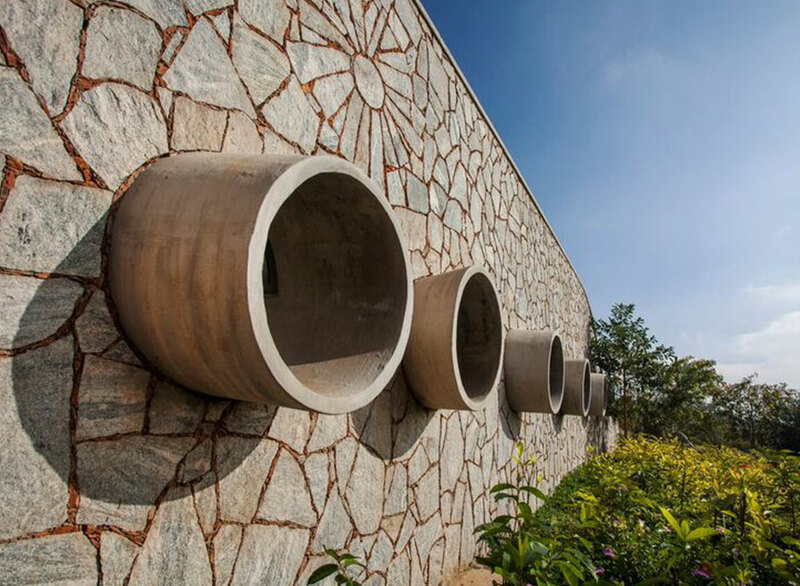 Landscape elements like natural stone boulders were integrated into the structure and traditional methods of forging steel were used for bending smaller steel plates. 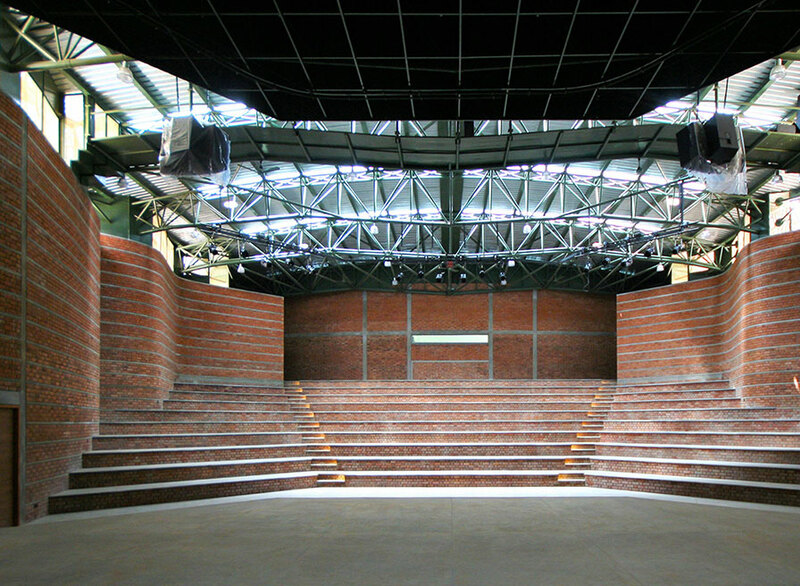 The structure was built from locally available bricks and stone, which serve as good insulation for heat and sound. 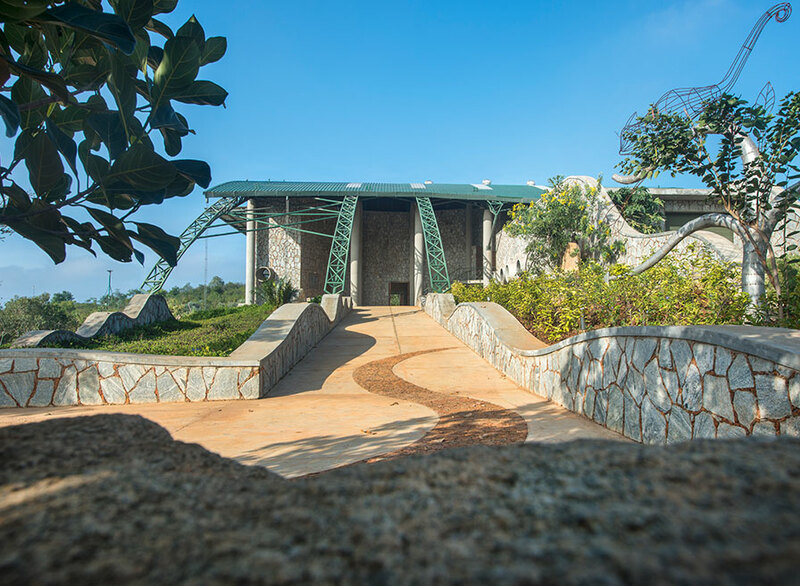 Shale rock largely available in the terrain was used in combination with random rubble masonry, which adds character to the exterior. 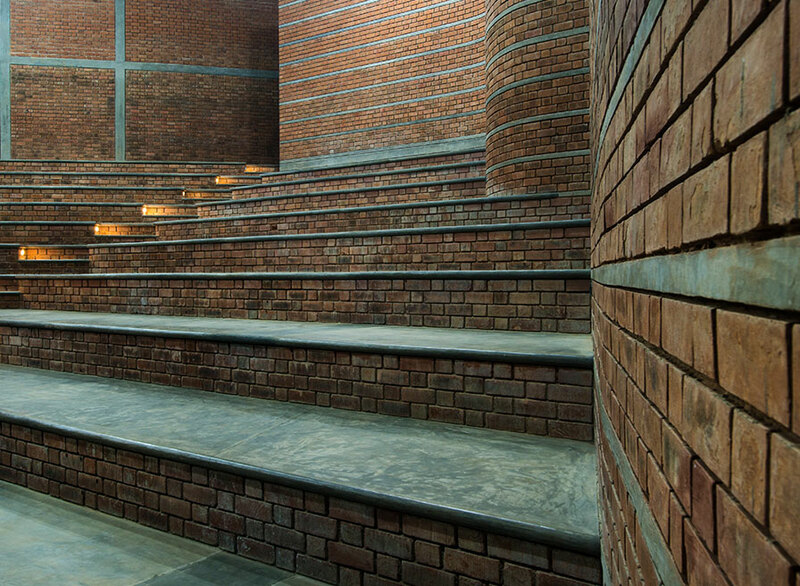 The use of local bricks along a curvilinear profile led to the building of a low-budget auditorium. 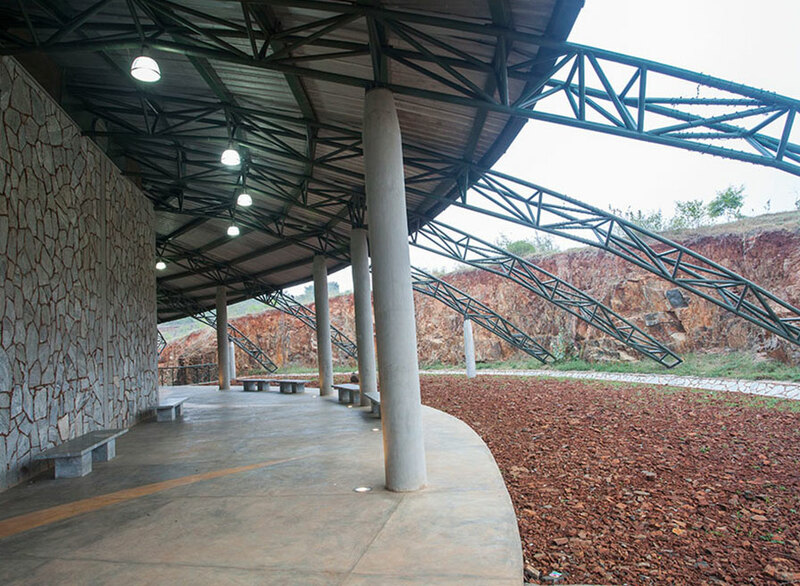 When completed, the structure perfectly integrated into the site, and complements its surroundings.